Known as triCalculate IM Analytics, the service is aimed at firms that are in-scope for phase four and five of the IM requirements, which come into force later this year and in 2020. Thousands of banks and asset managers, with portfolios of more than €750 billion and €8 billion respectively, will likely be affected by the two phases. 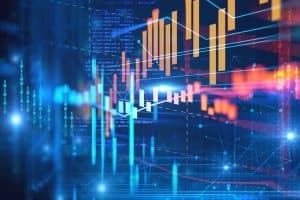 TriOptima, now part of CME Group following its acquisition of NEX Group, said that triCalculate IM Analytics, alongside the triResolve and AcadiaSoft’s Initial Margin Exposure Manager services, will allow firms to calculate IM inputs, manage margin calls and resolve disputes with in-scope firms. It will also support the Standard Initial Margin Model versus schedule decision-making process. Earlier this month, TriOptima’s triReduce portfolio compression tool set a new record after compressing $250 trillion gross notional value of trades at LCH SwapClear, up 31% from last year. The firm said that the new record was driven by intensive participation of dealers and their clients, as well as increased trade submissions. The post CME’s TriOptima launches initial margin calculation tool appeared first on The TRADE.